When the journey is paved with beef, mollusks or cardigans, the destination is almost an afterthought. Over the years, states have plotted out themed trails that spotlight local specialties and cultural touchstones, such as barbecue, oysters and Mister Rogers. Most of the routes revolve around food and drink, though several focus on nonedibles, such as artisans and history. Some are compact and doable in a day; others sprawl and require a leave of absence from work. There are many ways to tackle the trails. You can follow a methodical course or bounce around like a pinball. Visit all the sites or a smattering. Nibble or binge. Designate yourself the driver or the drinker. Whichever tact you take, remember that the trails are not racecourses or eating contests. Drive slowly, and stop and sample often. Also, depending on the trail, you might want to throw in some antacids and elastic-waist pants. Here’s a selection of trails in four Mid-Atlantic states. 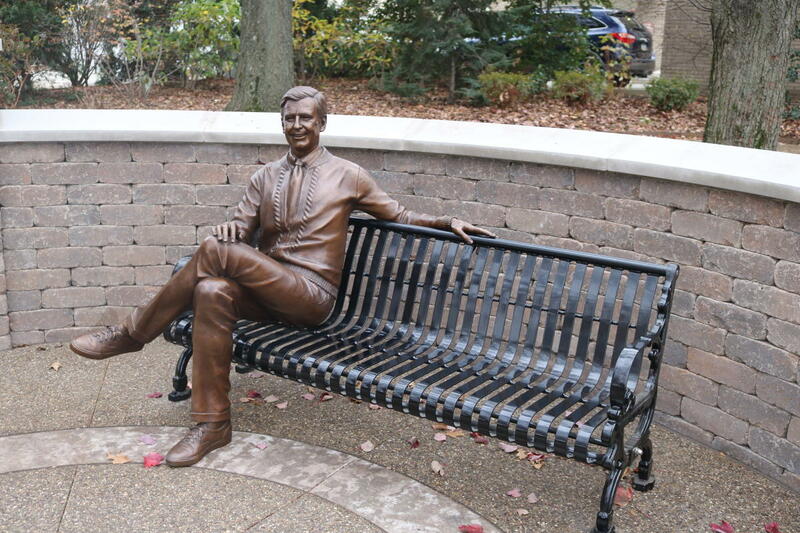 Trail mix: The state’s tourism office introduced the trail last year for the 50th anniversary of “Mister Rogers’ Neighborhood” and its creator, Fred Rogers, the Keystone State’s favorite neighbor. “The stops showcase the personal connection that Fred Rogers had with Pennsylvania — his high school, his place of burial, the largest collection of original artifacts from his show at the Heinz History Center,” said Carrie Lepore, Pennsylvania’s deputy secretary for tourism. The trail follows his footsteps from childhood (his family home in Latrobe) to adulthood (puppets from his show at the Children’s Museum of Pittsburgh) to the future (Daniel Tiger’s Neighborhood at Idlewild & Soak Zone). On select dates in July, the Pittsburgh Festival Opera will perform his compositions, “Windstorm in Bubbleland” and “Spoon Mountain,” which first delighted living room audiences in the 1980s. Will brake for . . . the “It’s a Beautiful Day in the Neighborhood” sign on Route 30, from Idlewild to Latrobe; the turntable and records from Rogers’s label, Small World Records, at the Ace Hotel Pittsburgh; and a banana split at Valley Dairy Restaurant in Latrobe. The frozen dessert shares the same birthplace as Rogers and appeared in Episode 1385.